Meeting your automotive heroes can be tricky business. Often the cars you love are old machines with serious issues and quirks. These quirks and issues don't make themselves apparent by way of the posters adorning your bedroom walls. Still when you get a chance to meet one of your heroes, you should take it. 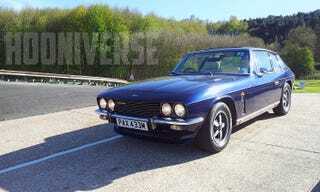 Our own Chris Haining got to meet one of his heroes... the Jensen Interceptor.